“The Café Oblivion. A fictional establishment built in a feverish dream. Equal parts heady, bizarre and rousing. Somewhere for Phar Lap and Charles De Gaulle to meet at the end of an hallucinatory day to recount stories of absurd love” – Alex Gow. 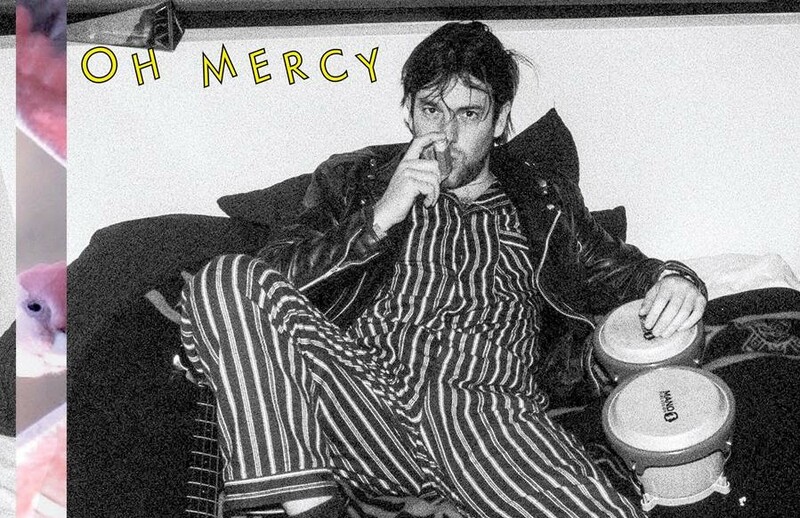 Oh Mercy’s highly anticipated fifth studio album ‘Café Oblivion’ is out today. Download or stream the album HERE. Alexander Gow, the Melbournian man behind Oh Mercy, has established the name as an iconic Australian act. Regarded as one of Australia’s most acclaimed singer/songwriters, Gow combines his love for the existential and absurd with a breadth of literary influences along with a perpetual air of romance. Gow has a string of ARIA Award nominations under his belt for the albums ‘Great Barrier Grief’, ‘Deep Heat’ and an ARIA Award win for his most recent, 2015’s ‘When We Talk About Love’. His fifth album Café Oblivion, exists at the intersection between Island Records era John Cale and Scotland’s The Waterboys while unabashedly flirting with the 60’s crooner cool of Lee Hazlewood and the cinematic exotica of Latin Playboys. Café Oblivion was recorded over the 2016/2017 summer at The Grove studios, produced and mixed by Scott Horscroft. “I don’t remember much else besides watching the cricket and drinking coffee, that’s gotta be a sign of a great recording session. 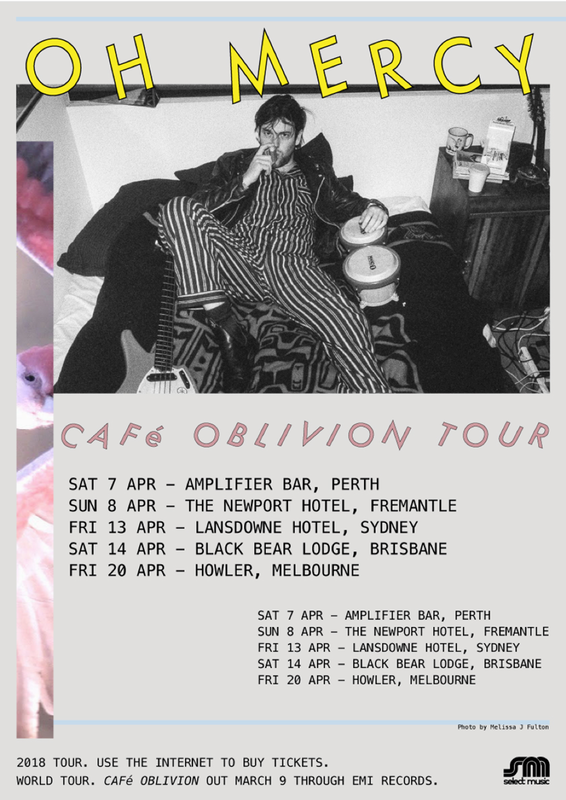 ‘Café Oblivion’ kicked off with first single ‘National Park’ and has been followed up by the infectious ‘Keep A Light On’, replete with an equally playful video directed by WILK (Sarah Blasko, Olympia). View HERE. The album unfurls to reveal a wondrous and charming landscape. One unlike Oh Mercy has produced before. As the world gets crazier, Gow just keeps getting better.